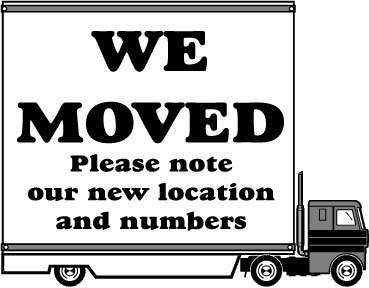 Shakin' Things Up Some More: Pilgrims & Pastors Is Moving!! Everything has been moved over, but I will also leave this site up as well. There is still much work to do in getting the new Pilgrims & Pastors finished, but enough has been done to go ahead and announce the move. So if you want to continue to stay up to date, you will need to change your subscription to the new blog, which you can do when you visit it and check it out. “I think we ought to read only the kind of books that wound and stab us…. We need the books that affect us like a disaster, that grieve us deeply, like the death of someone we loved more than ourselves, like being banished into forests far from everyone, like a suicide. A book must be the axe for the frozen sea inside us.” Franz Kafka, Letter to Oskar Pollak, January 27, 1904. A reader of the whole – which is to say the only – Bible concludes, then, that Kafka evidently agreed with God. 2011 Spring Conference: "God, Horrendous Evil, and the Christian Faith"
"Nonbelievers insist that the reality of horrendous evils in the world cannot be squared with the Church's confession of a God who is both good and powerful. The Church also confesses, in the Apostles' Creed, that Jesus "descended into Hell." But what does the suffering and death of Jesus have to do with natural disasters, genocide, severe disorders and depression, and other horrors of human experience? What do these things have to do with Jesus, and with the Christian lives of even those who do not suffer in these ways? And how does the Church respond in the face of horrendous evil? What is there to say?" This year's Spring Conference at Reformed Presbyterian Church of Lookout Mountain will be dealing with these questions. Are You Cultivating a Culture of Grace or a Culture of Law? This past Lord's Day, my church began a Sunday school class that is on the topic of developing a culture of grace in the church. For this class, we are utilizing Paul David Tripp's lectures Your Christian School: A Culture of Grace?. In the first lesson, this question was asked, "Are we asking the law to do something that only grace can accomplish?" Behind this question is the truth that the law cannot accomplish what it demands. That is not its purpose. But so often, this is exactly how we approach the law. We think, "If I can just do [ a certain outward behavior] enough, even when I don't want to do it, then eventually there will be an inward positive effect." Or, we think something like this, "If I can just do it for thirty days, then it will become a natural habit that I will do all the time. If I can thank God enough for my difficult trials, then I will truly become thankful." This approach to the Christian walk is a legalistic approach and it just simply won't work. This is not to suggest that there is not a proper place for the law in the Christian life. But if that is the question that immediately came to your mind, then I would suggest that prior to asking that question, you first ask the question of yourself that Tripp has asked, "Are we asking the law to do something that only grace can accomplish?". Before we can learn how to properly use the law, we must first make sure we have a proper understanding of the role of grace in our lives, families, churches, etc. But this is the covenant that I will make with the house of Israel after those days, declares the LORD: I will put my law within them, and I will write it on their hearts. And I will be their God, and they shall be my people, (Jeremiah 31.33). And I will give you a new heart, and a new spirit I will put within you. And I will remove the heart of stone from your flesh and give you a heart of flesh. And I will put my Spirit within you, and cause you to walk in my statutes and be careful to obey my rules, (Ezekiel 36.26-27). Do you see the connection between the Luke passage and these passages on the new covenant? What we do is a reflection of what is already inside us--the outward is a reflection of the inward. We cannot change the outward to effect the inward, it has to go from the inward to the outward. And this can only be accomplished by God. Left to ourselves we have hearts of stone, which we are powerless to change on our own, and especially through the law. This inability is exhibited by Israel's breaking the old covenant, which is why God provided the new covenant, a covenant whose success is now guaranteed because God will accomplish it. The result of this new covenant is that now, God gives us a new heart (that is grace), he gives us a new spirit (that is grace), he removes our heart of stone (that is grace), he writes his law on our new hearts (that is grace) and he causes us to walk according to his law and be obedient to it (that is grace). By grace, God works on our inside so that, by grace, we can reflect his law in our outward behavior. As Herman Bavinck once said, "Objectively and subjectively, from beginning to end, the work of salvation is a work of God's grace and of his grace alone," (Reformed Dogmatics, 3:486). Notice, this list is all about what God does. He doesn't say that he gives us a new heart, but then leaves it up to us to write his law on it--he gives and he writes! We cannot use the law to create new hearts within us. We cannot use the law to cause us to walk in obedience. We cannot create changes within us by making changes outside of us. But as he makes changes within us, we can reflect his work on the outside. As John Calvin has said, "For by the transpiration of his power he so breathes divine life into us that we are no longer actuated by ourselves, but are ruled by his action and prompting. Accordingly, whatever good things are in us are the fruits of his grace; and without him our gifts are darkness of mind and perversity of heart, (Institutes of the Christian Religion, III. 1.3, 541). For God has done what the law, weakened by the flesh, could not do. By sending his own Son in the likeness of sinful flesh and for sin, he condemned sin in the flesh, in order that the righteous requirement of the law might be fulfilled in us, who walk not according to the flesh but according to the Spirit, (Romans 8.3-4). Let the gospel be the good news that it is, and look to it for your Christian walk so that you will not try to use the law for something it is not meant to do or can do. So how about you, your family, your church, are you developing a culture of grace, or a culture of law? Have you ever been reading in the Westminster Confession and wondered how that topic or issue was addressed in one of the catechisms? Well, Brandon Wilkins of A Pilgrim's Theology has put together a very helpful schedule for reading through the Westminster Confession and Catechisms that does just that. The schedule takes one through all three documents in a month, allowing the reader to read through the three primary documents in an integrated fashion so that you can see the breadth of what the Standards say on a particular topic or issue all in one sitting. This schedule can serve as a great resource for family worship, officer training, an inquirer's class, etc. At my church, I lead a discussion group that is currently reading Geerhardus Vos' Biblical Theology. I was pleased to be asked to do this as Vos is one of my favorite theologians and has probably had the most influence in shaping my approach to scripture and preaching. Although Vos has been acknowledged as the father of Reformed Biblical Theology and has done much in shaping current trends in Reformed hermeneutics (the study of how you interpret the Bible), many are unfamiliar with this key figure. So, here is a brief sketch of his life, ministry and approach to scripture that originally appeared in the Ordained Servant (Vol 8, No. 3, July 1999) and was co-authored by one of my mentors, John Muether and Darryl Hart. Nineteen ninety-nine marks the fiftieth anniversary of the death of Geerhardus Vos, widely acknowledged as the father of Reformed Biblical theology. A descendent of French Huguenots, Vos was born in the Netherlands on March 14, 1862. He immigrated to the United States in 1881, when his father accepted a call to a congregation of the Christian Reformed Church, and he enrolled in what is now Calvin College, in Grand Rapids. From there he continued his studies at Princeton Theological Seminary (1883-1885), and he eventually earned his Ph.D. from the University of Strassburg in 1888. After teaching at Calvin for a few years, Vos went on to serve at Princeton Theological Seminary nearly forty years, where he taught many of the founding ministers of the OPC, such as Machen, Murray, Stonehouse, and Van Til. Yet Vos is not normally included in the chain of Old Princeton giants that preceded Machen and the OPC (a list generally restricted to Alexander, Hodge, and Warfield). Vos was "largely a forgotten man," according to one biographer. "Enrollment in his courses at [Princeton] often was sparse compared to those of other professors of a more 'popular' type, because of the weightiness of his lectures." Another explanation for Vos's relative obscurity was his low ecclesiastical profile. Rarely did he step outside the classroom and into the courts of the church (though he fought Presbyterian attempts to revise the Westminster Confession). Nearing retirement when Machen founded Westminster in 1929, Vos, an opponent of Princeton's reorganization, did not leave Princeton for Westminster, nor did he ever join the Orthodox Presbyterian Church. Instead, he retired to southern California in 1932, and he then moved to Grand Rapids in 1937, where he lived until his death in 1949. Moreover, Vos never wrote for the Westminster Theological Journal or the Presbyterian Guardian. While Machen and other founders of the OPC may never have fully understood Vos's reasons for remaining in the PCUSA, there seemed a greater willingness to forgive him than others who stayed in. (The Guardian provided partial absolution in its obituary for Vos, noting that "when he retired in 1932, he left a valuable part of his library to Westminster Seminary.") Undoubtedly Catharine Vos, the author of the popular Child's Story Bible, has been far more widely read by Orthodox Presbyterians than her husband. Much like Cornelius Van Til, Vos was an acquired taste. Biblical theology and presuppositional apologetics were new subjects in the curriculum of Presbyterian seminaries. Like Van Til, English was not Vos's native language, and his books quickly went out of print before their rediscovery after his death. His most well known work, Biblical Theology, was edited by his son and published by Eerdmans in 1948, just before his death. Just as Vos was never a member of the OPC, so many of his best contemporary interpreters lie outside the denomination. James T. Dennison edits Kerux, a journal dedicated to redemptive-historical preaching in the Vosian tradition. At Gordon-Conwell Seminary, G. K. Beale is applying Vos's insights in New Testament exegesis (see for example his latest commentary on Revelation). Still, it can be fairly said that no non-OPCer this century has influenced the denomination as much as Geerhardus Vos. Orthodox Presbyterians often describe themselves as a hybrid between Old Princeton and Dutch Calvinism. More than anyone else, Vos's long career at Princeton forged links between American Presbyterianism and Dutch Calvinism that were to shape the character of the OPC. Latter day Vosians in the church include Meredith G. Kline and Richard B. Gaffin, Jr.
For Vos, "biblical theology" was short-hand for the study of the history of special revelation. So the starting point of his theology was acknowledgment of the progressive character of the revelation that accompanies God's redemptive activity. Vos likened this progress to the growth of a tree: "It is sometimes contended that the assumption of progress in revelation excludes its perfection at all stages. This would actually be so if the progress were non-organic. The organic progress is from seed-form to the attainment of full growth; yet we do not say that in the qualitative sense the seed is less perfect than the tree." In historian Mark Noll's words, Vos was "attempting to roll back the assumption, prevailing since the late seventeenth century, that historical consciousness was the natural ally of naturalistic views of the Bible." For Vos, this historical progression culminated in the coming of Jesus Christ, whose work is revealed in the New Testament in terms of present inauguration and future consummation. G. K. Beale argues that while this interpretive approach is now standard (cf. Cullmann, Ridderbos, and Ladd), "Vos appears to be the first European or American scholar to espouse an ‘already and not yet eschatology'" to the theology of Paul. Yet the historical sensibilities in Vos's work has yet to gain full acceptance within the OPC, where suspicions persist that his approach may still concede too much to naturalism. Thus some contemporary exegesis of Scripture (for example, on creation), continues to miss its eschatological dimension. Though originally a systematician, Vos's first love was biblical theology. Some of his followers suggest that Vosian biblical theology calls into question the very nature of dogmatics. Does Vos require a fundamental recasting of the categories of systematics? Can we even speak of a "system of doctrine" after Vos? Those who would pit biblical theology against systematics have difficulty explaining Vos's long tenure at Princeton and especially his close friendship with Warfield. And Vos himself would hardly identify his insights as Copernican. He was deeply grounded in the Reformed dogmatic tradition. Far from jettisoning systematic theology, Vos was a staunch defender of Reformed confessional orthodoxy, and he used biblical theology to give fresh and creative defense of dogmatics, such as the doctrines of the covenant, soteriology, and the kingdom of God. The two disciplines were complementary, each transforming the biblical data in different ways. "Biblical theology draws a line of development," Vos wrote. "Systematic theology draws a circle." Following in the footsteps of Vos, Meredith G. Kline sees no hard and fast distinction between biblical theology and systematic theology: "biblical theology involves the systematization of the covenantal data under relatively broad historical epochs." Vos's biblical-theological identification of the church as a pilgrim people has made the most indelible imprint on the OPC, even while it has provoked some of the OPC's strongest critics. American Christians are prone to judge the success of the church in terms of its influence in the world. For this reason, many have dismissed the OPC as "irrelevant" for its want of a social or cultural agenda. Seen from an eschatological perspective, however, it is more accurate to say that the OPC is committed to the "irrelevance" of the world to the church. The OPC has been molded by Vos's reminder that, as part of the new eschatological order unveiled in the coming of Christ, the church locates its hope in a kingdom that is not of this world, a kingdom that cannot be shaken. Secured in a life that is hid in Christ in the heavenlies, the church longs for the return of her Lord. This eschatological location of the church as the kingdom inaugurated and awaiting consummation is the legacy of Vos. For that source of solid hope and comfort, the OPC abandoned aspirations for earthly glory. A half-century after Vos's death, political gospels and this-worldly agendas continue to tempt the church. Reformed orthodoxy needs to give a fresh hearing to Geerhardus Vos, perhaps now more than ever. In a post last month, I quoted James Jordan in saying that the practice of paedocommunion is not a Reformed or Presbyterian practice. Specifically he said that those who want to practice paedocommunion in the PCA "are poison to traditioal presbyterianism," and "if you believe in pc, you’re not in the Reformed tradition at all in a very significant and profound sense. No more than you’re Baptists." Keep in mind here, these are his words not mine. In response, there was some concern raised that I had provided an uncharitable and incorrect description of paedocommunion because I defined it as "the practice of allowing a child to partake of the Lord's Supper upon the sole condition of baptism. This means that not only is a profession of faith not necessary to receive the sacrament worthily and as a blessing, the sacrament can be received worthily apart from faith and still communicate a blessing of grace." Well, I do not want to be uncharitable or incorrect, so I offer, once again, the words of James Jordan in how he understands paedocommunion. [Paedocommunion is] allowing all baptized and non-excommunicated persons to the table of the Lord . . . If our children eat at our table at home, they belong at Christ’s New Table also. Admission is by baptism, (emphasis mine). Now, I believe that if we refuse to let our baptized covenant children come to the Lord’s Table, we are subtly but effectively communicating to them that they need to do some kind of works before they will be entitled to participate in this mysterious event. . . . If our children are entitled to sit at table at home, then they belong at the Table in church also. Now, I believe that if we refuse to let our baptized covenant children come to the Lord’s Table, we are subtly but effectively communicating to them that they need to do some kind of works before they will be entitled to participate in this mysterious event. . . . Also, we communicate the idea that participation in this mystical ritual is an attainment, not a gift. But away with such notions! If our children are entitled to sit at table at home, then they belong at the Table in church also. So, to be clear, Jordan believes that requiring a profession of faith prior to participating in the Lord's Supper is wrong, and is not what paedocommunion means. I was not being uncharitable or incorrect, I was simply defining paedocommunion according to his understanding. That's right, the RP is now podcasting. You can now find and subscribe to our sermons here. Happy listening. Back in the summer the General Assembly voted to amend its constitution to change the way the Administrative Committee is funded. Right now, giving in the PCA is done on a voluntary basis. Amendment 14-1 would have completely changed that from voluntary giving to involuntary. Amendment 14-2 would redefine "voting membership" for General Assembly by creating new rules for who could vote at GA. According to this amendment, for a teaching elder to get to participate at GA, his church would have to pay the full amount established by the AC committee proposal, plus, he would also have to pay an additional personal tax on top of that. If these conditions are not met, then not only would he not get to vote, but the church would be reported to the GA. However, even though GA voted in favor of these amendments, for them to be adopted, the presbyteries had to vote on them. For them to pass,2/3 of the 79 presbyteries (53) would have to vote in favor of the amendments. For them to fail, over 1/3 of the presbyteries (27) would have to vote no. Well as of yesterday, the New York State Presbytery became the 27th to vote down 14-1 and the Presbytery of Eastern Carolina became the 27th to vote down 14-2. This means that even thought there are 23 presbyteries that still have to vote, the magical number of 53 cannot be obtained, so the amendments fail. For a complete list of which presbyteries have voted for and against, see this article at The Aquila Report. For a thorough recap of all the events leading up to where we are now, see this post at Johannes Weslianus. Is Paedocommunion a Reformed or Presbyterian Practice? James Jordan Says "NO"
In case you are not familiar with paedocommunion, it is the practice of allowing a child to partake of the Lord's Supper upon the sole condition of baptism. This means that not only is a profession of faith not necessary to receive the sacrament worthily and as a blessing, the sacrament can be received worthily apart from faith and still communicate a blessing of grace. This practice has been gaining popularity in Reformed and Presbyterian circles as of late. But, is this a practice that is consistent with Reformed or Presbyterian theology? I’ve said for years that paedocommunion and non-pc cannot live together any more than infant and adult baptism. And by returning to pc, we drive back 1000 years, and definitely back before the Reformation. Oh, it’s true enough: We depart from the whole Reformation tradition at certain pretty basic points. It’s no good pretending otherwise. I think the PCA is perfectly within its rights to say no to all [Biblical Horizons] types. We are NOT traditional presbyterians. The PCA suffers us within itself, but we are poison to traditional presbyterianism. We are new wine, and the PCA is an old skin. So, for the sake of the people we are called to minister to, we do our best. But we don’t really “belong” there. I can’t really put feet on this, but I “feel” sure that the Reformation tradition is rationalistic precisely because it is anti-pc. Or maybe better, these are part of one complex. Being anti-pc was the greatest mistake of all the Reformers (except Musculus, and who cares about him?). This mistake is part of the heart of the Reformation; they knew about pc and rejected it. But there’s no reason why the presbys should receive us, since sacramentally speaking we are NOT Reformed and NOT presbyterian. I don't think it gets more clear than that. On December 7, 1524, the Lord's Supper was observed from a Reformed perspective. According to Hughes Oliphant Old, it took place at St. Martin's Church in Memmingen (South Germany) under the oversight of Christoph Schappeler. Under the leadership of this preacher, the imperial free city of Memmingen committed itself to the Reformation early. Schappeler arrived in 1513, and as early as 1522, he was preaching against the Roman Mass. The major influences on this liturgy come from the liturgies from Basel, Zurich, Strasbourg and Constance. One of the features present in the Memmingen Service Book was the "Dismissals." This part of the liturgy was one of the few elements that was present in all the different liturgies that were used for developing the MSB. The dismissal is what we today call "fencing the table." During the dismissal, there would be an invitation and encouragement of the faithful to approach the Lord's Table, while the unbaptized and unrepentant would be warned to abstain from the holy meal, and often times, leave the service so that only the "faithful" would remain to partake of the Lord's Supper together. The Reformers did this because they did not want the Lord's Supper degraded by having it offered to those who were not prepared--including covenant children. The dismissal was an integral element in the Reformation of worship because it was an application of Church discipline within the worship service. This was one way for the elders to exercise care in reforming more than the liturgy, but also the lives of those worshiping. So important was this element, that Calvin was ready to leave Geneva rather than not practice it. The dismissal was not the result of being mean-spirited or controlling, but was pastoral. It provided an opportunity to call sinners to repentance and to protect those who were not ready from eating and drinking judgment to themselves. The Reformation was more than just a recovery of theological concepts, but a reformation of worship practice that was based on that theology. It is exciting to remember what happened 486 years ago today. But we need more today than the excitement of a memory, we need the resolve to guard what has been passed along to us. Can we maintain the theology of the Reformation if we don't maintain the worship practices that flesh it out? As Christmas season is upon us, there is much music in the air that is typically only heard during this time of year. One of my favorites is Handel's Messiah. A few years ago, NPR aired a live performance of Messiah from the Kimmel Center in Philadelphia, and since then, they have provided that performance for free online. You can listen to it here. (When you follow the link to the performance, there is an introduction to the performance, the actual music begins around 9:30). Here you will find fascinating historical background to Messiah, including its unlikely inception, and learn about its reception and impact from Handel's day to our own. Calvin Stapert devotes most of his book to scene-by-scene musical and theological commentary on the entire score, demonstrating how the music of Messiah beautifully intertwines with and illuminates its biblical text. Through these pages Handel's popular and much-loved masterpiece will be greatly enhanced for listeners old and new alike. You can find a free Google preview of the book here. If you don't have the time or desire to read the book, then you can simply download it and listen to it. 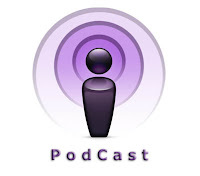 For this month, ChristianAudio.com is graciously providing it as a free download [HT: Jame Grant]. To download the book, you simply have to go here and click on "Download Now." have formed a "determination to tear down the walls between church art and city art so that music can freely flow between the venues." They both had what they call the frustrating experience of the lack of art in their church backgrounds, and desire to see that changed. Youngren says that his frustration has been summed up well by an essay written by another artist, Makoto Fujimura, "A Letter to North American Churches." And what is this frustration, exactly? An artist’s relationship with you has not been easy; we are often in the margins of your communities, being the misfits that we are. . . . Instead of having quality artists at the core of your worship, we were forced to operate as extras; as in ‘if-we-can-afford-it-good-but-otherwise-please-volunteer,’ Extras. What do you think about this? Have artists been unlovingly marginalized in the Church? See what Carl Trueman has to say here. In his typical British whit, he is spot on. The Alliance of Confessing Evangelicals is excited to offer live webcasting of the Quakertown Regional Conference on Reformed Theology. Don't miss out on this opportunity to hear excellent, biblical teaching from well-known pastor-theologians. The webcast will start Friday, November 12, 2010, at 7:00 p.m. and will run through Saturday afternoon, November 13, 2010. Visit AllianceLive.org to register and watch the free webcast. Who is Jesus? The pages of Scripture shout out the answer. Son of Man and Son of God. The Way, the Truth and the Life. Prophet, Priest and King. The Bread of Life. The Good Shepherd. King of Kings and Lord of Lords. Redeemer. Savior. And yet we live in a world that prefers to see Jesus as a gifted teacher, or as a revolutionary, and nothing more. Jesus has been marginalized, stereotyped, and often ignored, to the eternal peril of millions upon millions. Again, who is Jesus? What has He done for His people? Is He just, as H.G. Wells once said, "the most dominant figure in all history"? Or is he, as the Reformers taught, the Jesus of solus Christus, the one-and-only means by which sinners are saved, the One who claimed, "no one comes unto the Father except through me"? The 2010 Quakertown Regional Conference on Reformed Theology is devoted to the subject of Our Glorious Lord and Savior, Jesus Christ. Our desire is to present Christ as the Scriptures present Him. This year’s conference will focus on the glory of Christ, His wondrous incarnation, His life and ministry, His cross and His resurrection. Recently I had the joy of attending the first annual Reformation Worship Conference where I got to hear Hughes Oliphint Old, T. David Gordon, Terry Johnson, Jon Payne, Mark Ross, Paul Jones, and David Hall speak on a whole host of different topics concerning worship. My favorite lectures were those by Dr. Old on the reformation of worship in the 16th century. One of the themes that was developed through all the lectures was the importance of prayer in the reformers' worship. He noted that as the reformers recovered the truth of scripture, they used the scripture to reshape how they worshiped. The reform of liturgy was centered on ministering the word of God to the church and this included using prayer as a means of the ministry of the word. In their prayers, then, the reformers sought to fill their prayers with scripture. In their recovery of biblical worship and prayer, they noted that the Bible contained different kinds of prayer and sought to institute these different types of prayer throughout the liturgy in appropriate places. In his lecture on John Knox, he emphasized Knox's contribution to the reform of liturgy and the use of prayer in Knox's directory for public worship, the Book of Common Order (1560). Old noted that with this directory, Knox developed "several master strokes," one of which was his attempt to develop a good and true Eucharistic prayer. During medieval Roman Catholic worship, magic and superstition had worked its way into the mass, which led the church to believe that by the performance of certain rites or repeating certain formulas one could avail himself to the power of supernatural forces. In the mass, then, blessing the elements was a magical and superstitious act where the priest would act in changing the bread and wine into the actual body and blood of Jesus. The blessing in the mass was done by the priest to the elements. The Reformers, however, sought to rid the celebration of the Lord's Table of this influence by beginning communion with a prayer that made it clear that one was not commanding God's grace or controlling God's grace with the rite, but was dependent on God's grace. They saw that it was God who needed to act, not the priest. And they understood that God needed to act in the lives of the believers, not in changing the metaphysical make up of the elements. This emphasis did not diminish the elements, but rather put them in the proper place as means that God used in working in his people. This prayer became known as the Eucharistic prayer--a prayer that included an invocation, thanksgiving, and vow of the covenant. Whatever gift we receive from the hand of God is sanctified throught the word and prayer, . . . For nowhere do we read that our Lord ate with his disciples unless it is also mentioned that he gave thanks. By this example we are certainly taught to do the same. This thanksgiving however has to do with somethig highter: for Christ gives thanks to his Father for his works of mercy to man and his gracious gift of redemption: and we are invited by his example, that as often as we come to this sacred table we be stirred up and aroused to recognize God's great works of love to us and that we enter into true gratitude, (cited by Old in The Patristic Roots of Reformed Worship, 300). By remembering God's gracious works of creation and redemption in prayer, we express thanksgiving for his grace in the past, while at the same time, call upon his grace for the present and the future. As the Lord's Supper is a time of thanksgiving (a eucharist), we are to follow Christ's example by beginning with a prayer of thanksgiving, where we explicitly ground our thanks in the acts of God in Christ for his church, appealing to him to continue to work in us by his grace that we might walk in the obedience of the newness of life in Christ. Old, shows the importance of this understanding of the Table and the ministry of prayer before it is received in his book Leading in Prayer, "The Lord's Supper should be a feast of praise and thanksgiving. It is here above all that the minister should give attention to leading the congregation in prayer," (225). Blessed are you, Father, Son and Holy Spirit, you are the triune God of all creation, the maker of heaven and earth, of all things, both visible and invisible. And to our King, Jesus Christ, as you are the host of this table, you are the coeternal and cobeginningless Son of the beginningless Father, who in the abundance of your goodness was in the last days clothed in flesh, humbled under the law, crucified on the cross and buried for us, your church, who at the time of your great sacrifice hated and loathed you and your rule. But by your completed work of salvation, you have refashioned our nature that had been corrupted by sin. And now, by your resurrection, you are our source of resurrection life and eternal fellowship with the Father and the Holy Spirit; you always live now before the Father as a visible representation of our righteousness, and to intercede on our behalf. Blessed Savior, incline your ear, then, to us, hear our words and help us to lift up our hearts to you and render unto you all praise, thanks and glory. We are thankful for the gift of your incarnation, ministry, sacrifice, and for its revelation and demonstration of your love for us. We are thankful that you are risen and have been highly exalted and that you have trampled underfoot the powers of death. We are thankful that you have burst the gates of hell and lead us forth to eternal life and light. We are thankful that you are the firstborn of many from the dead and the first fruits of them that sleep. We are thankful that now you have filled us with your Holy Spirit that we might be joined together with you, our triune God, and with one another in a true mystical body as those united to you both in your death and your resurrection. And we thank you for the promise of your coming again, to finally establish your Kingdom in its consummation. We are thankful that you will raise us up in glory, and that you will openly acknowledge us and vindicate us. We are thankful that you will wipe away our tears and make us perfectly blessed in the full enjoyment of our God and one another unto all eternity. As we rejoice in your completed work on our behalf, glorify yourself in writing these truths upon our hearts through this communion meal. As you are the true bread that came down from heaven, strengthen our faith to see your body and blood in these elements of the bread and cup; and through our eating your flesh, which is true food, and drinking your blood, which is true drink, draw us unto yourself, that we should not hunger or thirst. And as you are the living bread that gives life, help our faith to be confident that you share your life with us who receive you by faith, believing that death has lost its victory, that we will be raised up on the last day, and that we will live forever with you. And let this precious gift of Holy Communion be unto our healing, enlightenment, protection, purification, sanctification and salvation; and that of our whole spirit, and soul, and body. May you use it to divert us away from evil thoughts, words and deeds, unto a righteous life with increased virtue, stability of faith, living in obedience to your commandments, in the joy of the Holy Spirit. For from you and through you and to you are all things. To you Father, Son and Holy Spirit, be glory both now and forever. In Jesus name we pray, Amen. On Sunday evening, we remembered the 493rd anniversary of Martin Luther nailing his Ninety-Five Theses to the doors of All Saints' Church in Whittenberg, Germany on October 31, 1517, which created the spark that would become the blaze known as the Protestant Reformation. To try and help the church see our Reformation roots in worship, we utilized one of the first Reformed liturgies that was developed for providing distinctively Reformed worship. I put together a liturgy that was based on the initial reforms instituted by Martin Bucer in Strasbourg, which have been recorded in his work Grund und Ursach from 1524, together with later insights from his reforms in his 1537 and 1539 liturgies. To maintain some semblance with our normal service we included an explicit call to worship and response at the beginning of the service. So in the liturgy below, Bucer's liturgy begins at "Confession of Sin, Pardon, and Thanksgiving." Bucer began with the Confession of Sin because he believed that Reformed worship was premised on the recovery of the ministry of the Word of God. In the New Testament, Jesus Christ's ministry was built on the ministry of John the Baptist, which was a ministry calling sinners to repent. If Christ's ministry was built on calling for repentance, and Reformed worship was a continuation of Christ's ministry of the Word, then the worship service should be built on repentance and confession of sin. Throughout the liturgy, we used prayers written by Bucer. We used his confession of sin, his assurance of pardon (with minor variation), his prayer of thanksgiving, his prayer of illumination and his prayer of intercession. Since we were worshipping in the evening, we also followed his pattern for Lord's Day evening services in doing a scripture reading from a Gospel passage and preaching from the epistles. Also, one of the particular features of the early Reformers was there emphasis on the law—not for pointing out sin from which one should repent (first use of the law), but they used it to set forth positive instruction for teaching the church to express thanksgiving to God by leading a holy life (third use of the law). We did this by singing the Decalogue. The arrangement we used was used in Strasbourg by Bucer and can be found in the Genevan Psalter. Another Reformed distinctive we did was praying the intercessory prayer after the sermon. By praying it at this point, it allowed the minister to apply the sermon passage in a specific way to the congregation. A final distinct feature of early Reformed worship was using a creed for corporate confession after the sermon in response to the Word. We did this by singing the Apostles' Creed, which Bucer typically would do. Although it was different than the worship we typically offer on the Lord's Day, it was quite a blessing and very helpful for showing us our roots. It can be very easy to take worship for granted, but these men were recovering worship without having a direct example to follow. They had the scripture and the early church to help them, but none of them had ever worshipped in any other way than Medieval Roman Catholicism. In fact, at the beginning of the Reformation, typically what they did was translate the Catholic Mass into the common tongue, only discarding the most obvious features of the mass. What Bucer put together, with the help of Capito and Zell, was later picked up by Calvin and would eventually form the archetype of Reformed worship which has followed even to this day. We owe much to those early Reformers who risked their lives to do what we often complain about. May we recapture their Reformed ethos as we continue to stand on their shoulders seeking to reform the church's worship according to the Word of God. Grant unto us, O heavenly Father, that the remembrance of our redemption may never leave our hearts, but that we may walk in Christ, the Light of the world, far removed from our foolish reason and blind wills, which are vain and injurious darkness. Almighty God, heavenly Father, we give you eternal praise and thanks that you have been so gracious unto us poor sinners, having drawn us to your Son our Lord Jesus, whom thou hast delivered to death for us and given to be our nourishment and our dwelling unto eternal life. Grant that we may never relinquish these things from our hearts, but ever grow and increase in faith to you, which, through love is effective of all good works. And so may our whole life, and especially our worship tonight, be devoted to your praise and the edification of our neighbor; through the same Jesus Christ, your Son, our Lord. Make confession to God the Lord, and let everyone acknowledge with me his sin and iniquity. Almighty, eternal God and Father, we confess and acknowledge that we, alas, were conceived and born in sin, and are therefore inclined to all evil and slow to all good; that we transgress thy holy commandments without ceasing, and ever more corrupt ourselves. But we are sorry for the same, and beseech thy grace and help. Wherefore have mercy upon us, most gracious and merciful God and Father, through thy Son our Lord Jesus Christ. Grant to us and increase in us thy Holy Spirit, that we may recognize our sin and unrighteousness from the bottom of our hearts, attain true repentance and sorrow for them, die to them wholly, and please thee entirely by a new and godly life. Amen. And he commanded us to preach to the people and to testify that he is the one appointed by God to be judge of the living and the dead. To him all the prophets bear witness that everyone who believes in him receives forgiveness of sins through his name. Let everyone, with St. Peter, truly acknowledge this in his heart and believe in Christ, and rest assured that you have received the forgiveness of all your sins. They have been loosed on earth that they may also be loosed in heaven, and for all eternity. God have mercy upon us and bless us. Amen. Almighty, gracious, heavenly Father, we give you eternal praise and thanks that, through your holy Gospel, you have again offered and presented to us your most precious treasure: our Lord Jesus Christ. And we heartily beseech you to grant that we may receive Him and partake of Him in true faith now and forever, and be so nourished that we may be set free from all evil and increase daily in all goodness, to thy glory; through the same Jesus Christ our Lord. Amen. The Lord be with you, let us pray. Our gracious God, we give you thanks for the fruits of the earth in their season and for the labors of those who harvest them. Help us to be ever thankful for your beneficent providence and make us faithful stewards of your great bounty—for the building up of your Kingdom, for the provision of our necessities and for the relief of those who are in need. And as our needs are not merely physical but also spiritual, we give you thanks for your eternal Word. Almighty, gracious Father, forasmuch as our whole salvation depends upon our true understanding of thy holy Word, grant to all of us that our hearts, being freed from worldly affairs, may hear and apprehend thy holy Word with all diligence and faith, that we may rightly understand thy gracious will, cherish it, and live by it with all earnestness, to thy praise and honor; through Jesus Christ our Lord, Amen. The Sermon "Desperate Times Call for Divine Measures"
We've got the date down for our 3rd annual Reformation Rally: October 29, 2010 (Friday night). Other notes: We will also sing several hymns and enjoy snacks and fellowship after the two lectures. Stay tune for more details - and be sure to pass this info along! Looks like it will be good. I hope they post the audio. If you're in the area, you may want to check it out. This is just to provide a quick update with more detail to follow. At Presbytery today, the TVP voted down BCO 14-1: the vote tally was 20 yes, 29 no, and 2 abstentions. The TVP Also voted down BCO 14-2: the vote tally was 1 yes, 37 no, and 15 abstentions. I believe this now makes it 9 Presbyterys against and 4 Presbyterys for. As I said, there will be more details to follow. In an earlier post, I highlighted an interview with Danny Olinger on the life and ministry of Geerhardus Vos, especially with his contribution to Reformed Biblical Theology. What Vos does so well is help with how the Bible fits together by looking at it through the lens of the history of salvation. I commented, "If you have ever struggled with how to understand how the Bible fits together, or have desired to learn how to read the Bible with more understanding, then you have to read Vos." The Bible is the self-revelation of the Triune God, in which he unfolds himself and his plan of salvation progressively through time. Vos uses the analogy of a rose. In the OT you find the seed that over the course of time begins to sprout and grow until you have the rose in full bloom. In the interview, Danny suggests that one of the best ways to see the Biblical Theology of Vos in action is in the preaching of Charlie Dennison. Mr. Dennison was formerly the Historian for the Orthodox Presbyterian Church and pastor of Grace OPC (where I was previously the intern). In light of that recommendation, I have decided to post here, 27 Sermons that Mr. Dennison preached on "The History of Salvation." These sermons are not for the faint of heart as they are rich in substance and the application of Christ, as they show forth the glory of God in Christ from the beginning to the end of biblical history. There are no titles, only scripture references. If you like these and would like to listen to more, then check out the Audio Resources at Northwest Theological Seminary. This series is provided here with the gracious permission of Charlie's widow, Mrs. Ginger Dennison. The good folks over at Monergism Books have made a classic on parenting available for free download. Ryle's classic The Duties of Parents is "a primer on raising children and the duties all Christian parents have toward those God has entrusted to them." You can access the book in pdf here, which is provided through a service at feedbooks.com. Burn the Qur'an or Love Your Neighbor as Yourself? As citizens of democratic nations, Christians may be concerned about the implications of Qur’an-burning for international peace and justice. However, as citizens of the kingdom of Christ, they have even more reason to denounce such actions. Recall James and John—the “sons of thunder”—asking Jesus if they could call fire down from heaven on a Samaritan village that rejected their message. We read that Jesus rebuked them. As responsible citizens, we cannot help but be concerned about the political ramifications of Islam—especially since Islam is a geo-political as well as religious movement. Yet as citizens of Christ’s kingdom, we must resist the temptation to confuse U. S. interests with the goals of the City of God. Muslims are our neighbors and regardless of what their religion encourages, our scriptures call us to imitate our Father who sends sunshine and rain on the just and the unjust alike. It is an era of common grace, a space in history for calling all people everywhere to repentance and faith in Christ. Our children play regularly with Muslim neighbors and sometimes the topic of religion comes up in conversation. It is interesting to overhear the interaction. On occasion, the oldest boy will ask me questions about Jesus and why we believe that he rose from the dead. I cannot imagine that the burning of the Qur’an this coming Saturday will help move that discussion along. In the post, Horton draws the distinction between the City of God and the City of man in order to help remind Christians not to confuse the interests of the U.S. with the interests of the Church. Apparently, there were many who disagreed with Horton's position. There was so much negative response that it required him to write a second post, which can be read here. In the second post, he further explains his position on the negative consequences of confusing Church and state, using some of the past inconsistencies of Christendom to bolster his point. Horton warns that Christians do not want to resort to similar perspectives to Muslim extremists by assuming and perpetuating the past mistakes of Christendom. Unlike Islam, the biblical faith is an unfolding drama of redemption in which different covenants determine distinct policies and relationships between the kingdom of God and the kingdoms of this age. Under the old covenant pledged at Mount Sinai, Israel was a geo-political theocracy, commanded by God to drive out the idolatrous nations. It was a type of the Last Judgment at the end of the age. Yet Israel broke this covenant and was sent into exile; even when a remnant was allowed to return, the nation was under the oppressive reigns of successive empires. Then the Messiah arrived and in his Sermon on the Mount sharply re-defined the nature of his kingdom. Christ did not come to revive the old covenant (Sinai), but to fulfill it and to inaugurate the new covenant (Zion) with his own blood. No longer identified with a nation, his kingdom is the worldwide family that God promised to Abraham, Isaac, and Jacob. It is a “new covenant,” which is “not like the covenant” that Israel swore at Sinai (Jer 31:31-34). It is a kingdom of grace and forgiveness, an era in which the outcasts are gathered for the feast instead of driven out of the land. Even in the face of persecution, it is the hour for loving and praying for enemies, not for hating them or retaliating (Mat 5:43-48). Whereas God promised Israel temporal blessing for obedience and disaster for disobedience, today is the era of common grace. “For he makes his sun rise on the evil and on the good, and sends rain on the just and on the unjust” (v 45). One day, Jesus will return to judge the living and the dead and the holy wars that God commanded in the Old Testament will pale in comparison with the worldwide arraignment before the Son of God. Given the present era of the Church, the Kingdom of God grows through the means of grace of preaching the word, administering the sacraments and in prayer. And there are many Christians seeking to do just this around the world, who live in Muslim countries under constant threat. Many of the Christians are former Muslims who still live in their homelands, while others are foreign Christians serving as missionaries. If General Petraeus is concerned about potential violence to soldiers, what about the threat against fellow Christians? Burning the Qur’an is wrong for the following reasons: (1) It confuses the proclamation of Christ with violent conflict, justifying the suspicions of our secular and Muslim neighbors that Christianity is also a quasi-political movement; (2) It puts our neighbors around the world at risk, Christian and non-Christian, military and civilian; (3) It puts our brothers and sisters at greater risk, not for the gospel, but for an easy act of desperation that avoids the difficult sacrifice that fellow Christians around the world are making daily in their witness to God’s saving love in Christ.
. . . they shall beat their swords into plowshares, and their spears into pruning hooks; (Micah 4.3b). As the Church who lives in these latter days, continuing to strive to faithfully fulfill the commission given by Christ, let us strive to utilize the right instruments--instruments of harvest and peace, not violence and conflict. We want to bring in the harvest, not burn the harvest fields. Make no mistake, burning the Qur'an does not serve Christ or further the cause of the gospel. In our desire to love God, let us also love our Muslim neighbor as ourselves. Please join us on September 17-19, 2010 for our Seventh Annual Reformation Heritage Conference. Our speaker will be the Rev. Dr. Joel Beeke, President of Puritan Reformed Theological Seminary in Grand Rapids, MI, pastor of the Heritage Netherlands Reformed Church, and author of more than 60 books. His topic will be the 16th-17th century Dutch Reformations. In addition, Dr. Beeke's wife, Mary, will be speaking at a special women's breakfast on Saturday, September 18th. To register or for more information please call our church office at 770-489-6758. The cost of the conference is a donation of $10. There is much talk in the church today, as there was in the 70's and 80's, about updating the methods used by churches in accomplishing the Great Commission (Matt 28.18-20), as if God only gave a command and didn't also provide the necessary instructions for carrying out the command. The worship wars have expanded their theatre of conflict now to include the nature of the church and how to do evangelism and missions. The mantra of the day is "we must be relevant!". But apparently relevance is a code word for looking like the world--your local coffee shop to be more specific. Underlying the call for new methods is a new fourth mark of the church. Historically the church has been understood by the three marks of the right preaching of the gospel, the right administration of the sacraments, and faithful church discipline. Yet, today, to these three, a fourth mark is emerging (pun intended) and that is the mark of marketing how one does those things. Some preach the gospel dressed formally and some preach it in flip flops and shorts--never mind that both are apparently meeting with and representing the same God. Adding marketing to the list of marks provides the justification to flood the religious market with all manner of different styles of churches, so that if one "type" of church is not bringing in the throngs, then we need to offer a different product. This market driven model apparently provides the justification for churches planting new churches on top of one another without any forethought as to what this says to a community about God and his gospel. Never mind the obvious Arminian foundation of this thinking and strategic plan, does it not cause anyone to step back and think about the wisdom of using models and strategies for church mission that have been around no longer than some of our youngest covenant children? G.K. Chesterton, in his book What's Wrong with the World?, comments on this very tactic saying, "It ought to be the oldest things that are taught to the youngest people." He complained that the child is oftentimes older than the theory he is taught, "the flopping infant of four actually has more experience . . . than the dogma to which he is made to submit." It’s a good rule after reading a new book never to allow yourself another new one till you have read an old one in between. If that is too much for you, you should at least read one old one to three new ones....Every age has its own outlook. It is especially good at seeing certain truths and especially liable to make certain mistakes. We all therefore need the books that will correct the characteristic mistakes of our own period.... None of us can fully escape this blindness, but we shall certainly increase it, and weaken our guard against it, if we read only modern books....The only palliative is to keep the clean sea breeze of the centuries blowing through our minds and this can only be done by reading old books. We have lost sight of this wisdom today. Rather than see ourselves rooted in the tried and true faith and practice of our Reformed heritage through a covenantal and organic connection, we would rather utilize a cut flower approach to our mission. Yes, cut flowers are aesthetically beautiful and in that beauty give the appearance of health and vitality. Yet, the nature of cut flowers is that their root system is cut off and they will inevitably die from lack of sustenance and nourishment. As a result, some, in order to get away from what many refer to as the white middle class Presbyterianism of western modernity, they have turned to white middle class postmodernity that relativizes truth and practice. They deny that God has revealed the means by which the church is to fulfill her mission, and as a result, believe that good intentions, good sociological studies and good market research should be used to best be able to reflect the culture they are seeking to reach. They have merely traded one cultural influence for another. The truth of Christ and his promise to build the church become contingent on the latest market research. The danger here is that as the media shapes the message, the gospel of Christ is being confused with postmodern, relativistic pop-psychology and political activism. Presbyterian church growth techniques have become a cut flower enterprise that is here today and gone tomorrow, where the younger generation assumes it knows all and those who have gone before are forgotten and dismissed. This situation is the case in some Presbyterian circles as the older, proven ways are being jettisoned for the new emerging (pun intended again) techniques. In Presbyterian missions, this has led to the young men who have not proven themselves in ministry any further than momentarily creating a larger crowd serving as experts in presbyteries, rather than sitting at the feet and learning from those who have gone before them. This includes not only the living elders, but even the dead. The theory of new equals good, or the new is superior to the old is often touted in terms of being open and not closed-minded. Yet, to borrow from Chesterton once again, "Tradition refuses to submit to the small and arrogant oligarchy of those who merely happen to be walking about . . . Tradition asks us not to neglect a good man's opinion, even if he is our father." Intoxication with the new, although clothed with words of openness, is really narrowness in openness clothing. “Stand by the roads, and look, and ask for the ancient paths, where the good way is; and walk in it, and find rest for your souls." Ironically, this generation of Presbyterians is not the first to utilize this theory. The New Side and New School Presbyterians in America in the eighteenth and nineteenth centuries already have introduced this theory. The new methods that are emerging today (you guessed it) are actually reacting against these earlier innovations. The New Schooler's in Presbyterianism today find that they are no longer new enough. What seemed to be effective then, is now no longer deemed effective. Maybe the fact that it is no longer deemed successful should direct us to see that it wasn't actually effective back then either. Or, maybe we should just embrace the idea that since it is Christ who has promised to build his church, Christ apparently arbitrarily changes the methods he uses. In my opinion, the new equals better theory has already been tried and found wanting--the new New Schoolers state this themselves. Let us, then, not fall prey to this subtle pride and arrogance, which has been committed by the people of God throughout her history (just start reading in Genesis 3 where Adam and Eve tried to improve upon God's means for accomplishing the church's mission). Rather than approaching the mission of the church from the perspective of out with the old and in with the new, let us pursue a more humble and wise approach of stick with the old, and test the new until it has proven itself to be true, wise and trustworthy.